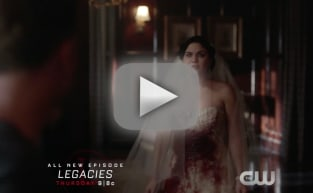 The Vampire Diaries Spoilers: Who is Markos?!? You may have fooled a forgiving Elena and switched places with your doppleganger on The Vampire Diaries Season 5 Episode 11, but you will soon be replaced on this TV Fanatic favorite by a new big bad. According to E! News, the series will introduce Markos on Season 17. An "imposing later from a faraway land," the villain is described as "super dark" and yet magnetic. Folks can't help but be drawn to him and even worship him. Might Markos be a Traveler? Another vampire? A supernatural species of a type we are yet to meet? Viewers will find out in late March or early April. For now, watch The Vampire Diaries online if you need to catch up and react below: What did you think of Episode 100? Perfect in every way! Pretty good Not bad Such a letdown!